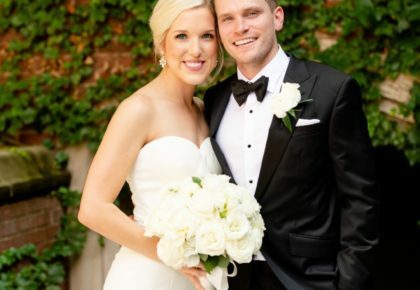 Here’s a heads up on the hottest upcoming wedding events in Tulsa! Don’t miss out on the Brides Against Breast Cancer Nationwide Tour of Gowns! BABC will be at The Mayo Hotel in Tulsa this Friday, August 6 from 12-8pm and Saturday, August 7 from 8-6pm. If you just can’t wait until noon, $20 gets you into Power Hours from 10am to noon on Friday for the first pick at this awesome sale! 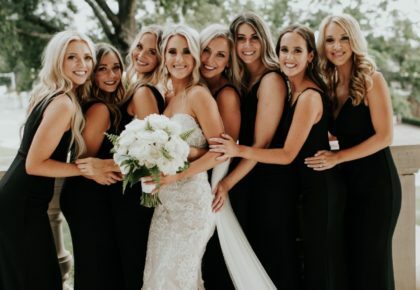 Browse through hundreds of name brand and designer wedding gowns starting at $199! There’s nothing better than a wedding gown on sale, except for participating in such a great cause! 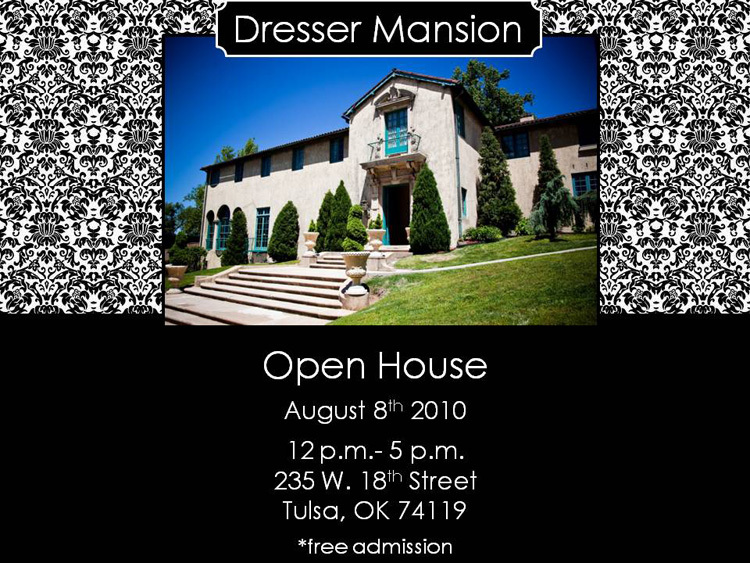 Dresser Mansion in Tulsa is hosting its Open House this Sunday, August 8 from 12-5pm! The Mansion is a gem of a venue with beautiful details and so much to offer! 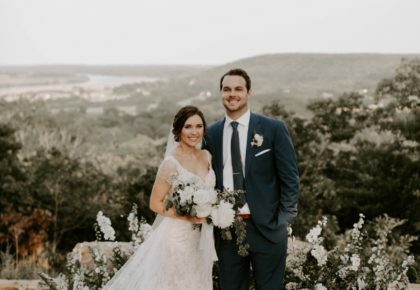 Come visit with local vendors including Party Perfect Linens, Jesse Reich Photography, Faccia Bella, Erica Weddings, Ms. Laura’s Cakes and us of course! 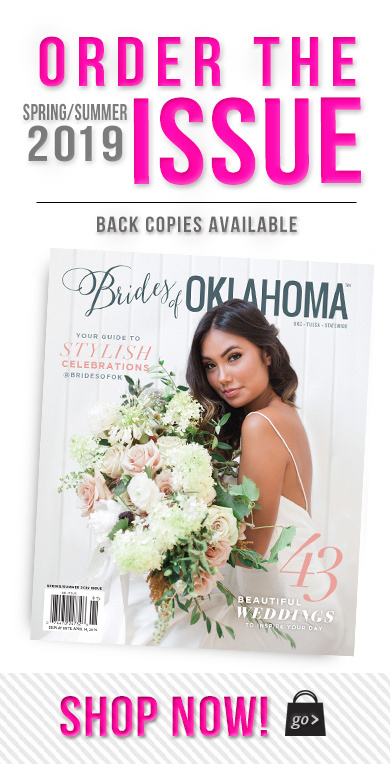 Spend your Sunday chatting with some of the best wedding pros in the state and leave with tons of inspiration and your complimentary copy of the new Fall/Winter 2010 issue of Brides of Oklahoma! We’ll see you there! Mark your calendars for Abelina’s “Let It Fall” Sale! 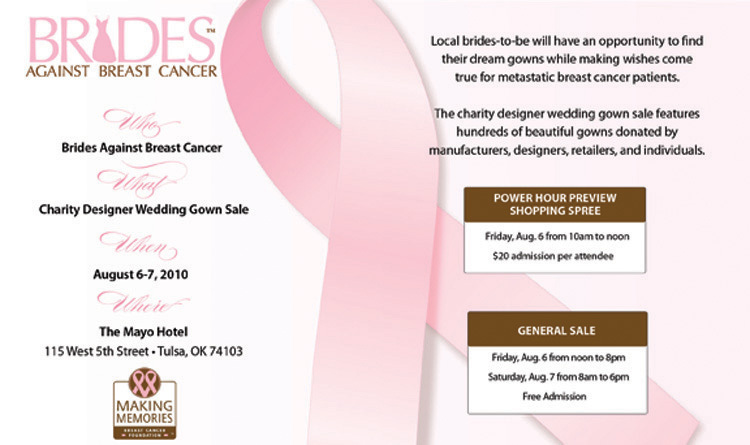 August 8-14, Abelina’s Bridal Boutique in Tulsa will have select couture gowns and merchandise on sale! Designers like Nicole Miller, Ella, Essence of Australia and wedding accessories galore! Call Abelina’s at 918.398.8175 for details.